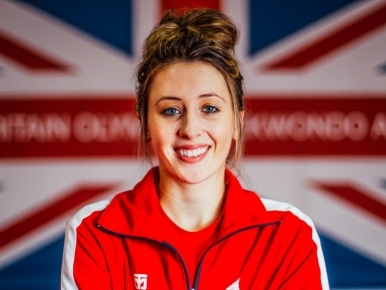 Watch Jade become double Olympic Champion. 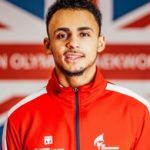 19-year-old Jones made history by becoming Great Britain’s first ever Taekwondo athlete to win gold at the 2012 Olympic Games in London. She was later awarded an MBE, after being named among the 2013 New Year’s honours list. 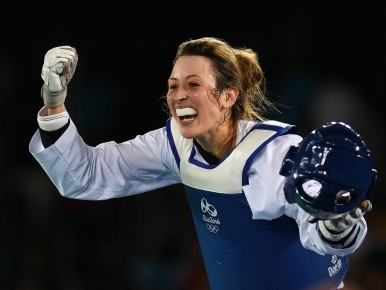 She has since gone onto win a Commonwealth title and European Championships gold to add to the continental bronzes she took in 2010 and 12. Jones was also the winner of the inaugural Youth Olympic Games in 2010. 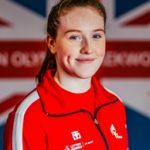 She competed at the 2015 European Games in Baku and won gold in the -57kg weight division, making her the second female Taekwondo athlete to do so. All personal media and appearance requests for Jade should be directed to her agent. My grandad got me into Taekwondo, I was quite naughty when I was younger and he wanted to get me interested in something more productive. He took me down to the local leisure centre and it was by chance that it was Taekwondo that I took up. My coach Paul Green is a proper legend, everyone knows him in Taekwondo as one. He was going into the (Athens) Olympics with a high chance of getting gold but he got injured at the last second, so he got his gold through me! He's trained me really hard and his attitude is amazing so I look up to him a lot. To win gold at the World Championships. I'd love to star in a martial arts film.